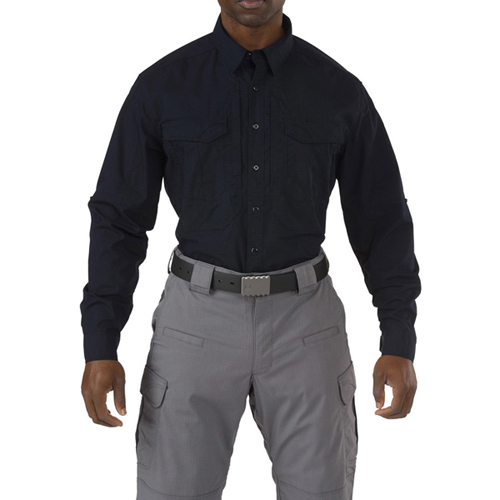 Crafted from the same exclusive 4.84 oz. 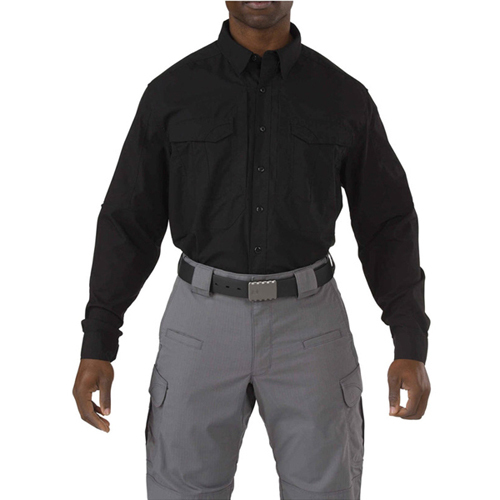 Flex-Tac mechanical stretch fabric as our popular 5.11 Stryke Pant, the 5.11 Stryke Shirt sets a new standard for tactical shirts worldwide. 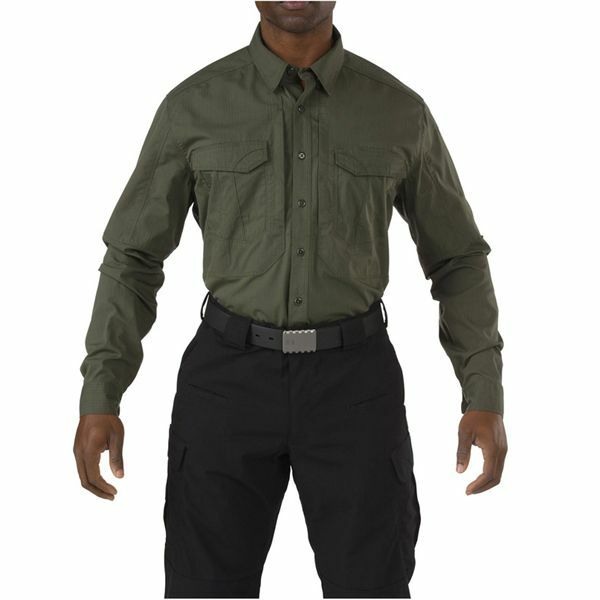 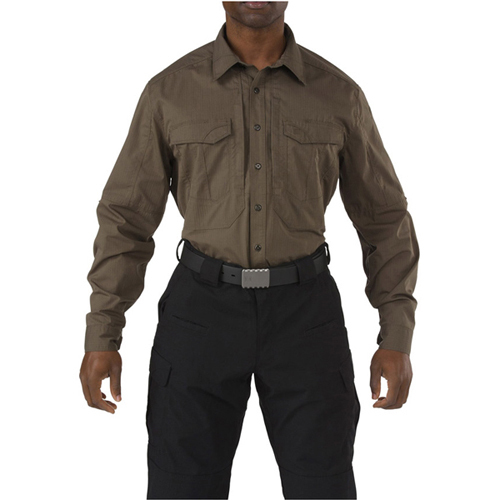 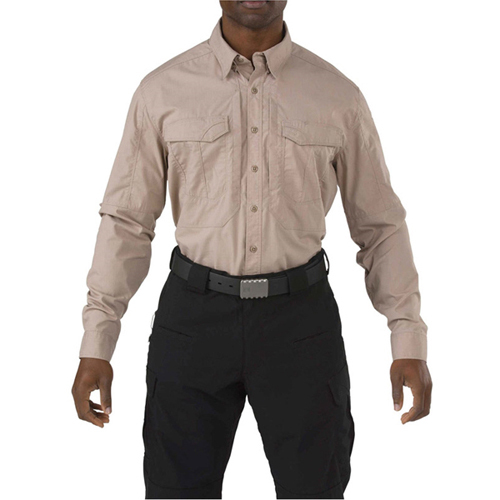 Offering unprecedented durability, comfort, and mobility while maintaining a clean and professional appearance in any setting, the 5.11 Stryke Shirt is Teflon treated to repel stains, soil, and light precipitation. 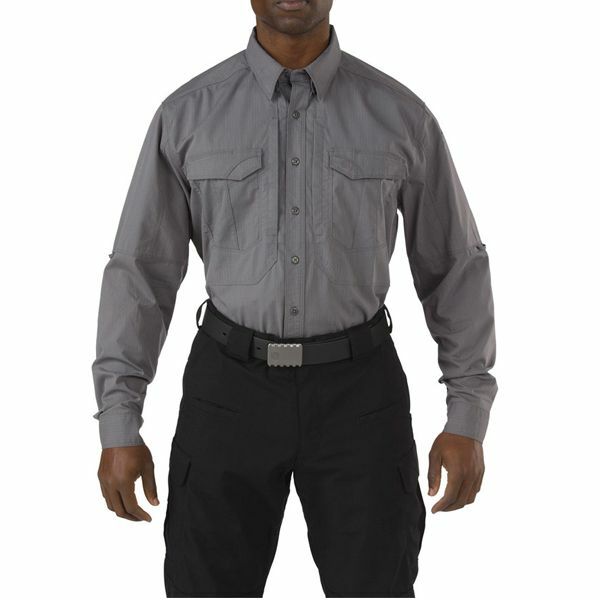 Pen pockets at the left sleeve keep your writing implements within easy reach, integrated tabs keep rolled-up sleeves secure, our patented 5.11 Hidden Document Pockets provide ample covert storage space, and a locker loop at the collar enables easy storage.